For kids, battling an injury or disease can be a scary venture. At a young age, it is hard to comprehend the changes your body faces, which is why one spinal surgeon in San Antonio has created Osteo Corps, a comic book with a goal to eliminate the fear behind injury and disease. The comic book helps to empower children through superheroes who devote their lives to reversing and preventing injury and disease while battling their arch enemies through the use of the muscular and skeletal systems. 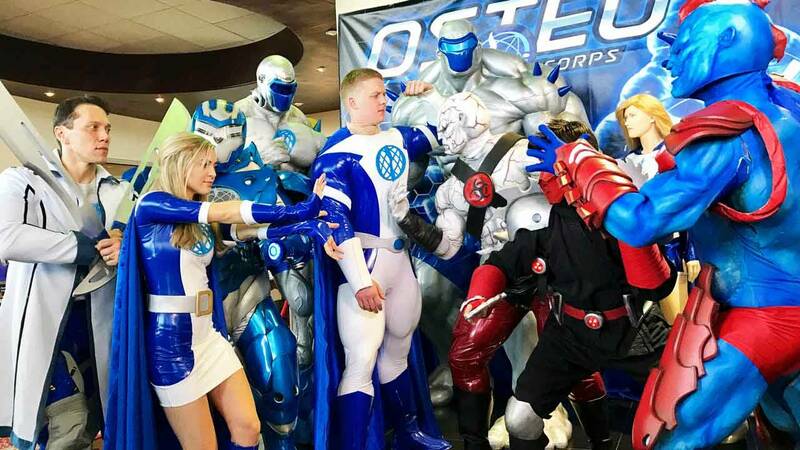 SciTech Now sits down with Dr. Steven J. Cyr, M.D., creator of “Osteo Corps,” to find out how the superhero theme idea came into play. The comic book initially started as a coloring book created several years ago by Dr. Csy. Used more as a waiting room brochure, the purpose behind the comic book was to introduce kids to medicine and eliminate the fear of seeing a doctor. “The idea there was to introduce children to the terms they may hear from their doctor, to teach them a little bit about STEM (science, technology, engineering and mathematics) topics, but also to introduce the idea of medicine in a way that was exciting and fun,” said Dr. Cyr. The coloring book over time evolved into a comic book and today is used to educate children on the battle between health and illness. With this creation, Dr. Cyr entered the realm of edutainment, entertainment with a purpose. By creating superhero characters, he turned what normally would be an unpleasant experience for children into a more fun and inspirational atmosphere. “With this STEM-based comic, we’ve gone from school to school, and from charity event to charity event supporting different organizations … talking to the kids about science and medicine,” said Dr. Cyr. Watch this fascinating, action-packed episode of SciTech Now airing Friday, Nov. 4 at 7:30 p.m. on KLRN.